Does your plant look limp and fragile? Are the leaves changing colour? This might not be a lack of nutrients, but the improper uptake of them. Read on so you’ll understand how to treat and prevent nutrient lockout. So, you’ve been feeding your plant with all the necessary nutrients. 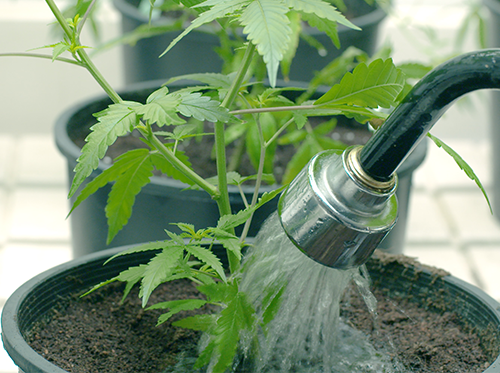 You engage in proper watering practices and your lights are at an ideal distance from your cannabis plants. If, despite all this, your plant still looks sad and limp with discolouration in the foliage, you might be facing nutrient lockout. This condition has similar visual effects as a nutrient deficiency. Essentially, that is exactly what is happening. The necessary minerals are not being absorbed by your cannabis plant as the root zone is “locking” the nutrients out. If you are certain your nutrient solution is not the problem, read on. Nutrient lockout is when nutrient elements like magnesium, zinc, iron, and even potassium are present in the root zone, but your plant can’t absorb them. It can happen in all growing mediums, but it’s more likely to occur in soil, coco coir, or rockwool. Nutrient lockout might be due to the oversaturation of chemical fertilizers with high a salt content. Sometimes, the excess of one nutrient may actually lock others out. This is a very common issue that many growers face. Another very popular issue that leads to nutrient lockout is the wrong pH value in the growing medium. 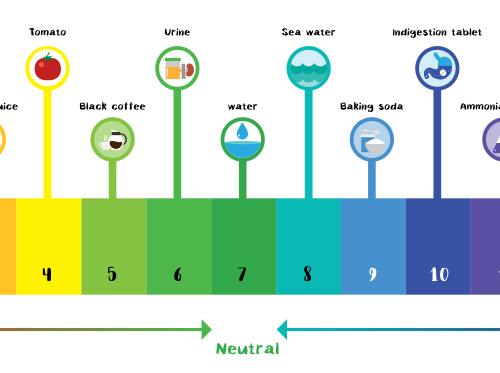 An extremely acidic or alkaline medium will lock nutrients out. Make sure your pH level is within 6.0-6.5. Once your plants are in nutrient lockout, you’ll have to act quickly. It’s important to reverse it in time to free the nutrients. If left untreated, nutrient lockout will turn into a nutrient deficiency and eventually kill your plant. To protect them, you’ll need to know how to identify nutrient lockout, as well as how to correct it. If you are not currently facing the issue, even better! Read on so you’ll know how to prevent it in the future. Identifying nutrient lockout can be difficult. 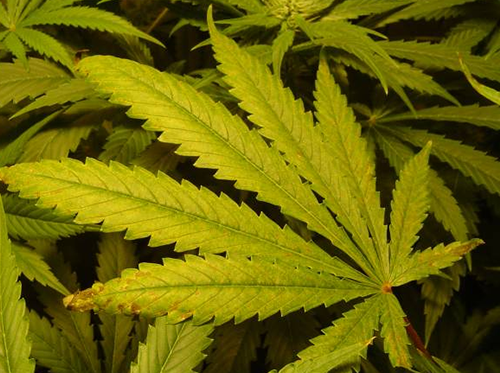 Your cannabis plants may look underfed when the problem is actually something else. Overfeeding, pH variations, or other stressful factors affecting the plant’s root zone may be the reason. Cannabis plants are very fragile and require daily care in order to achieve a proper yield. Being interested in and worried about your plants is already half the battle of identifying a nutrient lockout. This health issue will make plants look and feel weak. Growth will appear to be stagnated. You’ll be seeing yellowing in the leaves. Left untreated, this yellow will turn brown and the leaves will curl up, looking burnt. 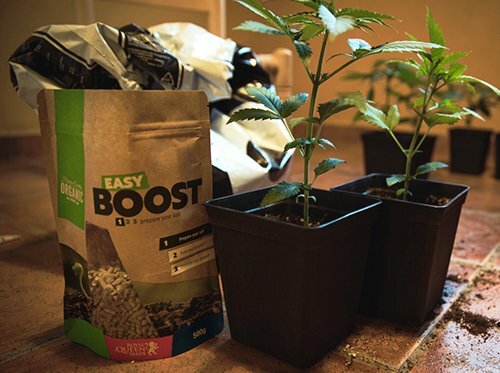 One of the first things you should do is check if you’re dosing your nutrients properly. Before anything else, make sure you’re using the right quantities and the right combination of nutrients. This is more common with salt-based fertilizers as salt tends to build up, changing your medium’s pH. This is why adding more nutrients when you’ve identified a lockout in your plant won’t help. If you’ve checked that your nutrient mixture is perfect, the next step is verifying that your pH is also on point. For this, you’ll have to flush your plant’s medium. Take the extra effort to dial down your grow room humidity to 49% on the day you flush. Flushing overwaters the root zone, which can harm the roots. Do this for one lights-on and one lights-off cycle. Use fresh, pH-balanced water to flush your soil. For a hydroponic system, running a fresh solution through your setup will suffice. This excess water running through your medium will help break down the salt build-up, easing the nutrient uptake. Once this process is complete, you should immediately give your plant its appropriate share of nutrients and water solution. Before this, just make sure you allow the soil to dry out first. This is so the root zone can breathe, preventing root rot. You can also try a pH-adjusting solution. These also work well with a nutrient lockout situation, but won’t wash away the salt build-up. We recommend flushing as this will work better in the long-run, preventing the reappearance of this problem later on. When you face a problem with your cannabis plant, it’s always important to learn from the experience. Whether you’re able to solve it or not, knowing how to prevent a lockout in a future scenario is what distinguishes the men from the boy growers. In order to keep plants at their ideal health, we would recommend routine flushes. At least once when moving into the flowering stage and again, about halfway through the flowering cycle. It’s important to note that plants that have been pruned will require fewer nutrients. This makes sense, but it’s not something every grower thinks about. With fewer leaves, there is less mass for the plant to feed. Take this into consideration when pruning and feeding your marijuana plants. If you’re planning to change up your nutrient and/or lighting regimen, do it slowly. Don’t ever make drastic changes. This will stress the plant. You’ll end up creating another problem when trying to fix one. Cannabis plants need time to properly adjust to new environments. In nature, a drastic change is unlikely to occur. When moving into vegetation and flowering stages, the lighting transition should take at least a week. Don’t change the nutrient levels when shifting to the flower room as this will slow the plant’s growth at a crucial time. Finally, something that should not go without mention is the importance of using quality supplements and organic fertilizers. As mentioned above, salt-based fertilizers motivate the accumulation of this in the root zone. Salt, much like in humans, dehydrates the plant, preventing it from properly uptaking the good stuff. Using organic fertilizers does not mean that nutrient lockout is impossible, but it surely is less likely. Now that you’re more informed, test out these recommendations for yourself. You’ll certainly find that some work better, or are at least easier to execute than others. Only you will be able to fully assess what works best for your plants. We just hope this article can help you stay calm in a nutrient lockout situation, because it’s not irreversible. Best of luck with your harvest!